The iPad is a highly motivating item for many kids. But many parents and teachers find it frustrating to teach kids with autism to use the iPad functionally. Here are three tips that can help you promote functional use. Lock Rotation – Some learners with autism like to watch the screen rotate as they move the iPad. This prevents them from using the iPad to complete tasks, create visual or audio products, or play games. There is a small switch on the side of the iPad that is factory preset to mute the volume. 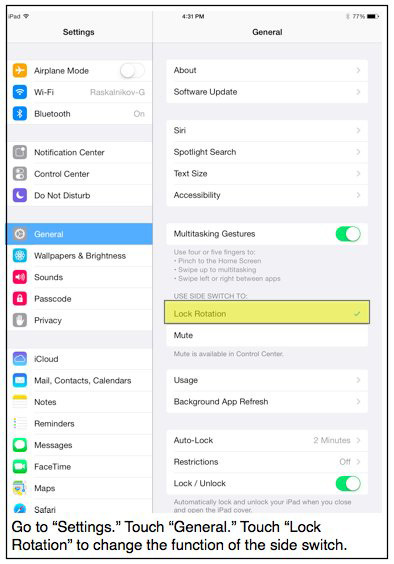 You can change the function of this switch to lock rotation, preventing your learner from fixating on rotating the screen. 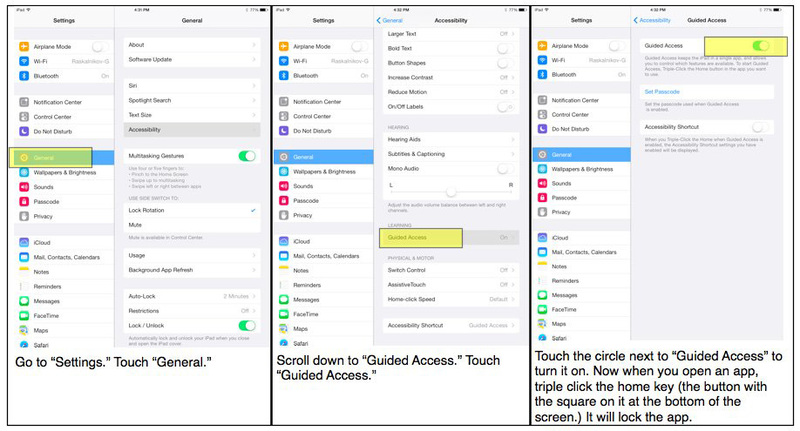 Guided Access – When providing access to the iPad, it’s a good idea to give your learner options of particular apps to engage with instead of providing free access to everything available on the device. For example, during a teaching session, I might say, “When it’s time for a break, do you want to play Match or Simon?” When it’s time for the break, I open the app the learner chose, then activate Guided Access, which makes it impossible for the learner to switch to other apps. 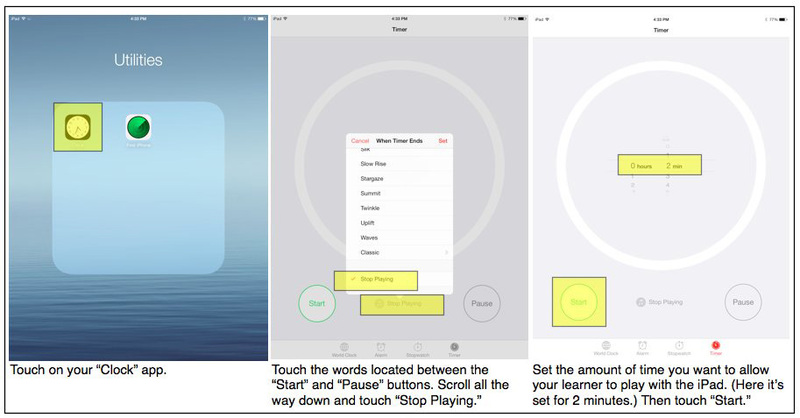 Timed Play – Sometimes I want to limit the amount of time a learner spends on the iPad. When I am providing a student a break during a teaching session, frequently I limit the time to 2–3 minutes. Parents may allow their child to play on the iPad for 30 minutes. You can set the iPad to immediately shut off at the specified time. I like to use this function because it prevents the end of an preferred activity from being associated with me. **Unfortunately, the iPad is the only tablet with which I am familiar. If you use another tablet and have tips such as those above, please share them with us! Written by: Different Roads to Learning on November 6, 2014. This entry was posted in Academics, Apps, autism, autistic spectrum disorder, Behavior, Sam's Tips, Technology and tagged Apps for Autism, autism, autism education, daily routines, functional iPad use, Ipad, modifications on the iPad, Sam Blanco BCBA, special education, special education professional, students, teaching tools, tips on the iPad, transitions by Different Roads to Learning. Bookmark the permalink.